(A) Scientific Career: For the 5 years 1971-1975, I was employed by the Baltimore Cancer Research Center, a division of the United States National Cancer Institute in position of Research Chemist. I conducted scientific experiments in the fields of immunology and cancer biology, and am principle author of 25 biomedical research reports published in scientific journals. While engaged in this work, I had supervisory control over up to 4 other scientists and interns, and I reported directly to the Chief, Section of Immunology and Cell Biology. A Bibliography of my publications isattached, and may also be found on the internet at Google Scholar: http://scholar.google.com/schhp?hl=en&as_sdt=0,5, enter: "Drake, WP" with quotation marks. (The first name on a published report is always that of the lead investigator, other names are contributors, and the last name is the head of the lab where the work was done). My first report, Drake WP et al “Preservation of Cellular Antigenicity in Tumor Cells By the Use of Formalin Fixation”, Cancer Research 32:1042-1044 (1972), showed that formalin treated tumor cells could elicit a strong immune response measured by the development of antibody to the cells when injected into a mouse. Over the years, this study has been cited many times by other scientists. In 2003, this report was cited as the basis to make a patient vaccine by treating a patient’s tumor cells with formalin and injecting into the patient with beneficial results. Pizza G, et al, “Allogeneic Gene-Modified Tumour Cells in Metastatic Kidney Cancer: Preliminary Report”, Folio Biological (Praha) 49: 147-159 (2003). Other highlights include the selection as Peer Review Scientist for the Journals: Journal of Histology and Cell Biology; Biomedicine. (A Peer Review Scientist is a member of a panel to whom other scientists' works are sent for review and comment prior to publication). (B) Legal Career (State of Maryland, USA, 1976-2001): In 1976, having obtained a law degree from an evening program while working as a scientist, I began my law career. I trained on and eventually handled medical malpractice and severe injury trials; and also represented companies involved in medical matters such as Immunodiagnostics and Immunotherapeutics Inc., a company engaged in allergy control and clinical research; 1985-1990 Attorney for Clinica Corporation, a development stage company founded to develop cancer screening tests. Career highlights include being appointed assistant prosecutor for Worcester County Maryland, and representing various businesses. In 1988, I successfully filed a Prospectus with the United States Securities and Exchange Commission (SEC) to register Maridel Motors Inc. for an initial public stock offering (IPO); in 1997, as Securities Counsel, I guided Savant Corporation ( a computer systems manufacturer) in securing initial investment capital to commence manufacturing operations. In 2000, as Special Securities Counsel for Tolemac Ventures, an internet firm, I prepared the Circular for raising private equity funds. Over the years, I handled many trial cases in the Courts, primarily injury claims, bankruptcy, and tax matters. In 2000, in recognition of my skill and experience, I was appointed Special Judge (called a "Master") by the Circuit Court for Worcester County Maryland (USA) to rule on and decide the compensation to be awarded to 20 injured victims of a bus crash (In Re: Wainwright). (C) Present Activities (Academic Research and Educational): 2001-Present: After coming to Phuket, Thailand on a sabbatical of unspecified duration, I saw a report of the curing of blindness in a Thai patient by the use of stem cells. This was a new area of medicine that excited me, and shortly thereafter I founded the Drake Biomedical Institute, a private research institute, to engage in research and education relating to stem cell treatments available internationally. The website is: http://drakebiomedicalinstitute.wordpress.com. The Institute is continuing to develop. Initially, the plan was to either create a stem cell clinic or to match patients with stem cell treatments worldwide. However, current initiatives, in addition to patient education, are more focused on how to reduce the costs of the therapies through the development of new medical machinery for multiplying a patient's stem cells in vitro. Organized in the USA, the Institute engages in core educational services, through sponsorship of the Panama College of Cell Science, an online college offering a 3 year PhD degree in stem cell science. See: http://stemcellcollege.wordpress.com . In connection with the Panama College of Cell Science, I currently serve as Director and part-time Instructor, and played a major role in the curriculum design and selection of instructional technology for the program. Following the initial success of the Panama College of Cell Science, I felt that the online model for a virtual university was a good one and one that could deliver coursework to students internationally at a modest cost. Consequently, around 2010, Blue Marble University was organized and opened for new students on January 1, 2013.
other developing instructional technologies such as podcasting, and active classroom chatting. I am knowledgeable in the role of "intranets" and "extranets" wherein each student has his/her own page for streaming video, podcasting, downloading and uploading documents, which is a developing aspect of instructional technology. I am expert in the use of the blogging platform, Wordpress.com, for Course Content management, and have installed it for our students at the Panama College of Cell Science, and Blue Marble University. 1. Drake WP, Ungaro PC, and Mardiney MR Jr.: Preservation of Cellular Antigenicity of Tumor Cells by the Use of Formalin Fixation. Cancer Research 32:1042-1044, 1972. 2. Markham RV, Sutherland TC, Cimino EF, Drake WP, and Mardiney MR Jr.: Immune Complexes Localized in the Renal Glomeruli of AKR Mice: The Presence of MuLV gs-1 and C-Type RNA Tumor Virus gs-3 Determinants. European Journal of Clinical and Biological Research 17(7):11-15, 1972. 3. Ungaro PC, Drake WP, Buchholz DH, and Mardiney MR Jr: Alteration of Specificity of AntiTumor Antisera by the Use of Passively Administered Antibody. Cancer Research 32:1521-1525, 1972. 4. Drake WP, Ungaro PC, and Mardiney MR Jr: Formalin-Fixed Cell Preparations for Use in the Automated Trypan Blue Cytotoxic Assay. Transplantation 14:127-130, 1972. 5. Ungaro PC, Drake WP, and Mardiney MR Jr: The Formalinization of Antibody to Tumor Cells in Altering the Immune Response. Cancer Research 32:2241-2247, 1972. 6. Drake WP, Ungaro PC, and Mardiney MR Jr: The Measurement and Manipulation of Hemolytic Complement Levels in Tumor Bearing C57BL/6 Mice. Biomedicine 18:284-289, 1973. 7. Ungaro PC, Drake WP, and Mardiney MR Jr: Augmentation of Antitumor Antibody Activity by the Use of Lyophilization. Journal of the National Cancer Institute 50:201-204, 1973. 8. Ungaro PC, Drake WP, and Mardiney MR Jr: Repetitive Administration of Bacillus Calmette Guerin in the Treatment of Spontaneous Leukemia of AKR Mice. Journal of the National Cancer Institute 50:125-128, 1973. 9. Drake WP, Ungaro PC, and Mardiney MR Jr: The Passive Administration of Antiserum and Complement in Producing Anti-El4 Cytotoxic Activity in the Serum of C57BL/6 Mice. Journal of the National Cancer Institute 50:909-914, 1973. 10. Drake WP, and Mardiney MR Jr: The Enhancement of Antitumor Antibody Binding to Cross-Reactive Normal Tissue Antigens. Transplantation 16:189-198, 1973. 11. Drake WP, LeGendre SM, and Mardiney MR Jr: Depression of Complement Activity in Three Strains of Mice After Tumor Transfer. International Journal of Cancer 11:719-724, 1973. 12. Mardiney MR Jr, Ungaro PC, and Drake WP: Immunoprophylaxis and the Treatment of Leukemia in AKR Mice: Repetitive Use of BCG. National Cancer Institute Monograph, 39:89-90, 1973. 13. Drake WP, Cimino EF, Mardiney MR Jr, and Sutherland JC: Prophylactic Therapy of Spontaneous Leukemia of AKR Mice with Polyadenylic acid-Polyuridylic acid (Poly A:U). Journal of the National Cancer Institute 50:941-944, 1974. 14. Drake WP, and Mardiney MR Jr: Parameters of Serum Complement in Relation to Tumor Therapy. Biomedicine 21:206-209, 1974. 15. Drake WP, Pokorney DR, and Mardiney MR Jr: In Vivo Abrogation of C3 and C5 by Administration of Cobra Venom Factor and Heterologous Anti-C3. Journal of Immunological Methods 6: 61-72, 1974. Specificity in vivo. J. Immunol. 114: 1052-1057, 1975. 17. Drake WP, Roberts GC, Pendergrast WJ, and Mardiney MR Jr: The Kinetics of the Interaction of Heterologous Anti-Tumor Serum and Heterologous Complement in Non-Tumor Bearing Mice. Biomedicine 22(6): 502-508, 1975. Cancer Prone Mice. J. Experimental Med. 141: 918-923, 1975. Activities in the Plasma, Spleen, and Thymus of Tumor-Bearing Mice. Cancer Research 35: 322-324, 1975. 20. Drake WP, Pokorney DR, Ruckdeschel JC, Levy CC, and Mardiney MR Jr: A White Blood Cell Ribonuclease Assay for the Possible Monitoring of Malignancy. J. Natl. Cancer Institute 54(6): 1475-1478, 1975. 21. Drake WP, Schmuckler M, Pendergrast WJ, Davis AS, Lichtenfeld JL, and Mardiney MR Jr: Abnormal Profile of Human Nucleolytic Activity as a Diagnostic Test For Cancer. J. Natl. Cancer Institute 55:1055, 1975. Immunotherapy on Adequate Tumor Burden. J Natl. Cancer Institute 55: 1223-1225, 1975. 23. Drake WP, Pendergrast WJ Jr., Kramer RE, and Mardiney MR Jr.: Enhancement of Spontaneous C3H/HeJ Mammary Tumorigenesis by Long-Term Polyadenylic-Polyuridylic Acid Therapy. Cancer Res. 35(11): 3051-3, 1975. 24. Drake WP, Pokorney DR, Kopyta LP, and Mardiney MR Jr.: In Vivo Decomplementation of Guinea Pigs with Cobra Venom Factor and Anti-C3 Serum: Analysis of the Requirement of C3 and C5 for Mediation of Endotoxin-Induced Death. Biomedicine Express 25(3): 91-94, 1976. 25. Drake WP, Pendergrast WJ Jr., Kramer RE, and Mardiney MR Jr.: The Age-Dependant Efficacy of Polyadenylic-Polyuridylic Acid Therapy Upon the Development of Spontaneous Leukemia in AKR Mice. Cancer Res. 36(3): 1172-5, 1976. 26. Pendergrast WJ Jr., Drake WP, and Mardiney MR Jr.: A Proper Sequence for the Treatment of B16 Melanoma: Chemothrerapy, Surgery, and Immunotherapy. J. Natl. Cancer Inst. 57(3): 539-44, 1976. 27. Drake WP, Roberts GC, and Mardiney MR Jr.: Latent Homology of Murine Lymphoid Antigens Revealed Through the Complement Mediated Absorption of Xenogenic Antiserum. Biomedicine 24(5): 329-33, 1976. 28. Ruckdeschel JC, Doukas JG, Drake WP, and Mardiney MR Jr.: Application of Laser Cytometry to the Analysis of Immunologically Induced In Vitro Lymphocyte Responsiveness. Transplantation 23(5): 396-403, 1977. 29. Drake WP, Frazier LM, Sidle D, and Mardiney, MR Jr.: Alteration of Cellular Ribonuclease Associated With Murine Oncogenic Virus Infection. Biomedicine 28: 24-28, 1978. 30. Drake WP: Use of Formalin to Create Cellular Environments for Stem Cell Differentiation. Letter to Michael R. Mardiney Jr. MD, September 23, 2007. 1. Are you affiliated with any commercial entity offering cell based therapies in the context of regenerative medicine for human subjects? 2. For these therapies, are there any that are not yet in compliance with the ISSCR Guidelines for the clinical Translation of Stem Cells? b. Achievement of approval for these therapies/clinical trials by the FDA/your country's equivalent regulatory body. c. Achievement of approval for these therapies/clinical trials by an Institutional review board/your country's equivalent body. These questions are inappropriate and I therefore resign my membership in the International Society for Stem Cell Research. Although I am not currently affiliated with any stem cell treatments using autologous adult stem cells, I feel that the regulatory tone of such questions is inappropriate to a scientific body. Regulations and scientific inquiry are not compatible. Has the ISSCR become a regulatory body as well? Perhaps so, as it has given no encouragement whatsoever to the many international clinics successfully treating debilitating diseases with adult repair stem cells. It is apparent that the organization is determined to apply to adult stem cells harvested and re-implanted into the same patient, the same requirements for testing that are needed with embryonic stem cells, which are essentially synthetic cells, and cannot be used for any treatment due to their proliferative properties causing tumors as well as due to the severe immunological consequences that arise, such as graft vs host disease. (1) The ISSCR is engaged in regulatory activities which are incompatible with scientific inquiry. The ISSCR's attempt through its website, www.closerlookatstemcells.org, to scare patients away from bonafide international stem cell treatments which use the patients own adult stem cells, is another example of the organization's improper regulatory zeal. The website is deplorable in its attempt to control the world of adult stem cell therapy. There are many, many reports internationally demonstrating the clinical benefit of treatments with autologous adult stem cells. I, for one, do not feel that all of these patients, particularly Americans that have travelled overseas for such treatments, are liars and idiots. Rather, I conclude that something very important is happening here. And many papers are now coming out detailing these successful therapies with adult, not embryonic, stem cells. When you paste the label "unproven" on all these international treatments, I would like to ask: Unproven according to who, the ISSCR? Unproven because of the lack of "clinical trials"? Rather than being "unproven", there seems to be evidence that such treatments are beneficial, when one considers the patient as his/her own control, where the before and after clinical states are well documented with many objective medical tests. This is a kind of proof, is it not?? And I would like you to tell me what kind of "clinical trial" can be devised or implemented that relates to a tube of blood being taken from me, the adult repair stem cells expanded (multiplied) in vitro, and then re-implanted into me. Are you going to run a test with other people using my blood?? In fact, no such clinical trial can be devised. Yet, for synthetic embryonic stem cells, you certainly do need clinical trials, since the their injection into me, if they do not cause tumorigenesis, will certainly possibly kill me unless I am given high doses of immunosuppressive drugs. (2) The Mission Statement of the ISSCR is misleading and needs revision. The Mission Statement of the ISSCR states: "The International Society for Stem Cell Research is an independent, nonprofit organization established to promote and foster the exchange and dissemination of information and ideas relating to stem cells, to encourage the general field of research involving stem cells and to promote professional and public education in all areas of stem cell research and application." At this point in time, it is inappropriate and misleading to use the term "stem cell" alone. Unless the context clearly shows otherwise, one should clearly identify whether one is referring to embryonic stem cells or adult repair stem cells, or other cells such as cord blood stem cells. The ISSCR clearly by acts and publications, only promotes research into embryonic stem cells. Adult stem cell studies, and more particularly therapeutic studies relating to adult stem cells are not promoted. I wonder, and hate to believe possible, that the organization and its institutional members that benefit from the billions of dollars in US taxpayer funding of embryonic stem cell research, may purposefully use the generic term "stem cells", so that when an infrequent study showing the benefits of adult stem cell therapy does in fact leak out, then everyone can rejoice that "stem cell" research has been productive, and then seek even more funding for embryonic stem cells studies. I have nothing against funding basic research into embryonic stem cells, to the same extent as other basic research in other fields is funded. But let's not place embryonic stem cells on some sort of pedestal requiring billions of dollars in extra funding when almost everyone recognizes by now that adult stem cells are far superior to embryonic stem cells for therapeutic purposes. In my opinion, with respect to the mission statement to the effect that the Society promotes the exchange of ideas relating to stem cells, encourages the general field of research involving stem cells, and promotes public education in all areas of stem cell research and application, this is simply untrue as related to adult stem cells. The Society has not promoted any application using adult stem cells, and far from fostering the exchange of ideas, the Society has uniformly and solely promoted embryonic stem cell research. Your Mission Statement should be corrected. (3) The ISSCR has failed to call for the abolishment of clinical trials respecting treatments with adult stem cells. Clinical trials for humans relating to autologous adult stem cell therapy should be abolished, strongly curtailed, or modified. Clinical trials have no place in adult stem cell studies because each patient can serve as his or her own control. The supposed yet outdated requirement for clinical studies involving a patient control group is being used by the medical establishment to bar stem cell therapies in the US, and is one of many reasons why the US lags behind other countries in advancing stem cell therapies. Stem Cell therapy with autologous adult stem cells constitutes the “New Medicine”. With all the modern technology for objective scientific assessment of a patient’s medical condition, there is no need for a randomized study. Each patient can be carefully evaluated, before, during, and after treatment, by objective medical testing using various equipment, and their condition after therapy compared to that before. Consequently, the treatment of each individual patient constitutes a “single patient clinical trial”. Moreover, the outdated clinical trial format is not relevant nor applicable to “patient specific” therapy involving adult stem cells or even applicable to adult fetal stem cells. A better approach is that used in Thailand, in which ALL patients receive the proposed treatment regimen. There is no “control group” receiving nothing. Each patient serves as his/her own control. Particularly in the case where patients receive products of their own blood and tissues, such as autologous stem stem cells, there is no need for controlled studies. See for example: Chaithiraphan,S et al. : Transcoronary Injection of Angiogenic Cells Precursors and Autologous Stem Cells in Ischemicc Cardiomyopathy: A Clinical Study of 106 Cases in Thailand. Asean Heart Journal, 17(No.1): 13-22, 2009. Outcomes are compared to the patients’ condition prior to the treatment to determine its efficacy. The ISSCR should revisit the foundational basis of the standard "clinical trial" such as it applies to treatments with autologous adult stem cells. After all, a patient's own stem cells are not a "drug" as the meaning of that word as generally understood. Why can't a patient serve as his/her own control in studies relating to injection or re-infusion of the patient's own stem cells? In my opinion, these treatments relate to a "procedure" not to a "drug" requiring FDA approval. Many times it is easier for a Society to take a novel or unpopular position (such as in modifying "clinical trials" for autologous adult stem cells) that individual scientists, fearful of ridicule or loss of stature, cannot take on their own. Or, if not in taking a position, at least framing a useful debate of an issue. This is the higher calling, the higher purpose, and in fact the responsibility of an organization like the ISSCR. And also it's failure. Why hasn't the ISSCR proposed legislation to abolish clinical trials for adult stem cell therapies? We are not in the days of lemons and scurvy! We have sophisticated medical equipment now that can assess a patient's status in every regard, prior, during, and following treatment. (4) The ISSCR has failed to fairly evaluate, report and discuss the many international centers where treatments with adult stem cells have proven beneficial to patients. in March 2010. The book details the many successful stem cell treatments (using fetal stem cells and adult stem cells, not embryonic stem cells) that have occurred overseas, outside of the USA. It discusses how American patients must travel overseas to get adult stem cell therapy, because no adult stem cell therapies are yet available (i.e. permitted) in the USA. What was the response of the ISSCR? Was it disdain? Was it ignore it and it will go away? Was Dr. Radar invited to speak at any ISSCR function? Did any Director or Member of the ISSCR bring this book to a public forum with the questions: Is this true...can adult stem cells really work? ; Why do we have a situation in the USA where patients must travel internationally for therapy that should be available in the USA? ; Why is the USA being left behind while advancements in therapy using adult stem cells are being developed and available in China, Thailand, Singapore, India, Spain, Peru, Portugal, Russia, Germany, Panama, Mexico, Israel, and elsewhere? More and more favorable results using adult stem cells are being reported from international centers all the time. Are you aware that a spinal injury causing paralysis can be corrected using neural stem cells from a patient's own nose? Yet, there are no talks or seminars at any meeting devoted to these new therapies and observations. It's as if the ISSCR considers these advances as non-existent. Oops, I meant "unproven". The Society can promote or not promote anything it wants. But just don't pretend to have a big tent, when in fact the tent is only open to card carrying embryonic stem cell researchers to the exclusion of everyone else. (5) The ISSCR has failed to push for the fast-tracking of therapies using Adult Stem Cells. While progress in defining beneficial treatments using a patient's adult stem cells marches on in many countries, the USA is "missing in action" and otherwise absent from all such progress. To listen to the USA medical establishment, one would wrongly conclude that there are no treatments available anywhere using adult stem cells. Of course, many international centers are delivering successful treatments every day. Why has the ISSCR failed to push for the fast-tracking of therapies using adult stem cells in the USA? (6) The ISSCR has failed to lobby for the equal funding of research supporting the use of adult stem cell therapies. I do not see any interest in actions or words that demonstrate that the ISSCR has initiated, supported, or advanced the increased funding for research into adult stem cell therapies. The organization is focused entirely on embryonic stem cells. Of course, as above noted, you continue to wrongly use the term "stem cells" in much of your literature to give the false impression that promoting adult stem cell research is included in your activities. However, in reality it appears to me that using the term "stem cell" without any context is a cloak which masks the real interest and intent which is to push solely for advancement of embryonic stem cell research. Embryonic stem cells are synthetic cells made in a lab. They are a lot of fun to play around with, but the public is being duped into thinking that research with these synthetic cells will ever amount to any cure or control of debilitating diseases, or in fact any disease. (7) There is nothing "international" about the ISSCR and it should change its name. Except for holding annual meetings at various international locations, there is nothing whatsoever "international" about the International Society for Stem Cell Research. The name should be changed to: USA Society for the Promotion of Embryonic Stem Cell Research. And the use of the term "stem cell research" in the title is also inappropriate, because there is no inquiry whatsoever into the international therapies using adult stem cells. Nor is there much attention or inquiry given to adult stem cells or fetal stem cells as leading to available patient therapies now. Almost entirely, the Society devotes itself to embryonic stem cell matters. I know that losing me as a member will scarcely be even noticed except for a change in the membership roster. I know I am not as important as the eminent scientists such as yourself, that make up the membership in the Society. But yet I am in fact a published scientist with over 25 independent studies published in well respected biomedical journals. Which is to say, I know the scientific method when I see it. And I know a boondoggle as well, which is the sucking up of billions of dollars of taxpayer funds with the promise of delivering useful patient therapies, and then using those funds almost solely for embryonic stem cell research to the exclusion of research with the very cells (adult stem cells) which might actually lead to patient therapies immediately. I offer my opinions as a constructive criticism in the hope that there still may be some scientists with natural curiosity among the membership that might in fact consider some of the thoughts expressed herein. 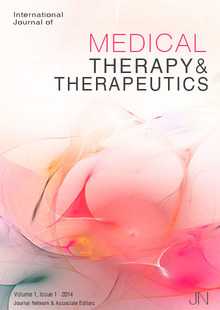 The International Journal of Medical Therapy & Therapeutics is a peer-reviewed, open access journal that publishes original research papers, review articles, and essays pertaining to modern medical therapies. The aim of the IJMTT is to highlight innovative research and theoretical work that might improve one or all of the subdomains of medical therapy, including all physiological ad psychological approaches. 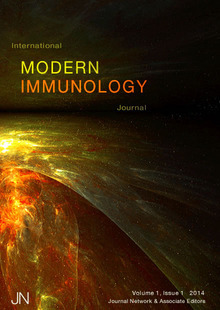 The International Modern Immunology Journal is a peer-reviewed, open access journal that publishes original research papers, review articles, and essays pertaining to immunological research and related medical practices. The scope of the IMIJ includes classical and clinical immunology, as well as developmental, oncological, diagnostic, and reproductive branches. 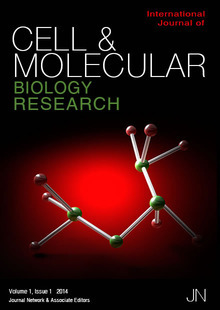 The International Journal of Cell & Molecular Biology Research is a peer-reviewed, open access journal that publishes original research articles, review articles, essays, and historical perspectives. Concerns within the general realm of cell and molecular biology include, cytology, embryology, enzymology, histology, human cloning, stem cell research, and related areas. The IJCMBR is of general scope; issues bearing upon industry and laboratory issues, as well as basic research, will be considered for publication. We also seek to encourage more speculative articles as relates to established evidence and theory, provided they point to potentially beneficial discoveries.